Lindsey and Nathan are just the sweetest! When I first met Lindsey to chat about her wedding day we skyped since she was in school in Wilmington and I feel like we just clicked right away! Then throughout the whole wedding planning process I knew that her wedding would be beautiful and filled with emotion. 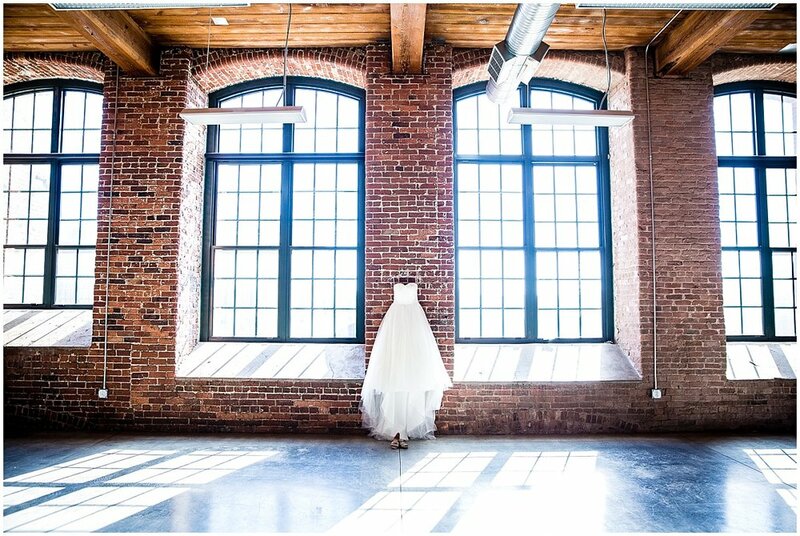 They decided to get married in their local church and to have the reception at the beautiful Loray Mill. One of the photos she specifically requested was for me to get pictures of her and Nathan in the prayer room immediately following their processional at the end of their ceremony. 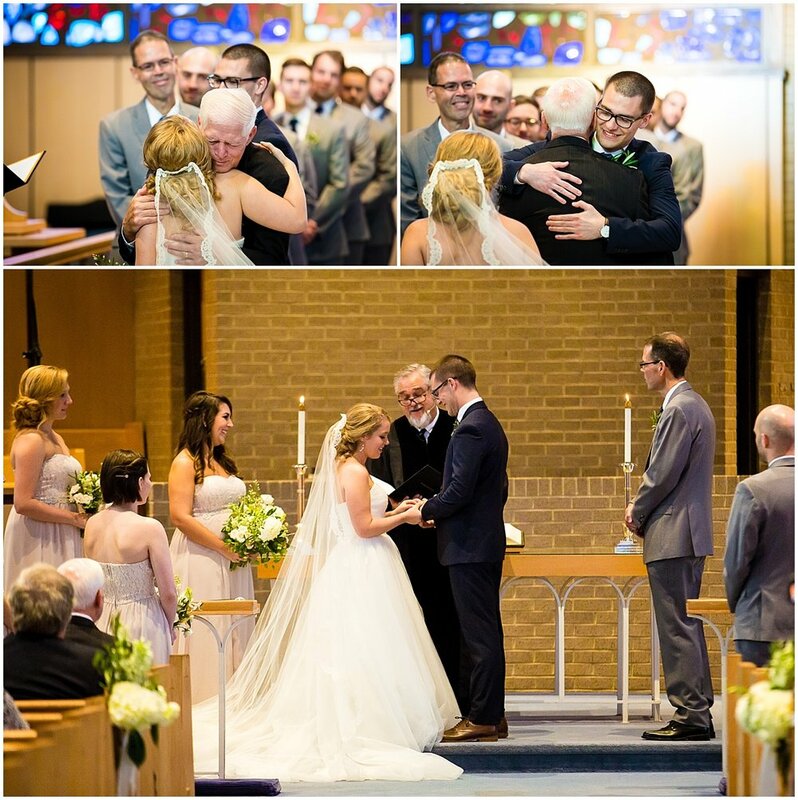 I absolutely adore these pictures of them share those first minutes as husband and wife in that prayer room. They also had one of the sweetest first looks I have witnessed, and were surrounded by beautiful stained glass from the church’s windows. Also their reception could not have been more fun, they had such a beautiful ambiance in the mill. 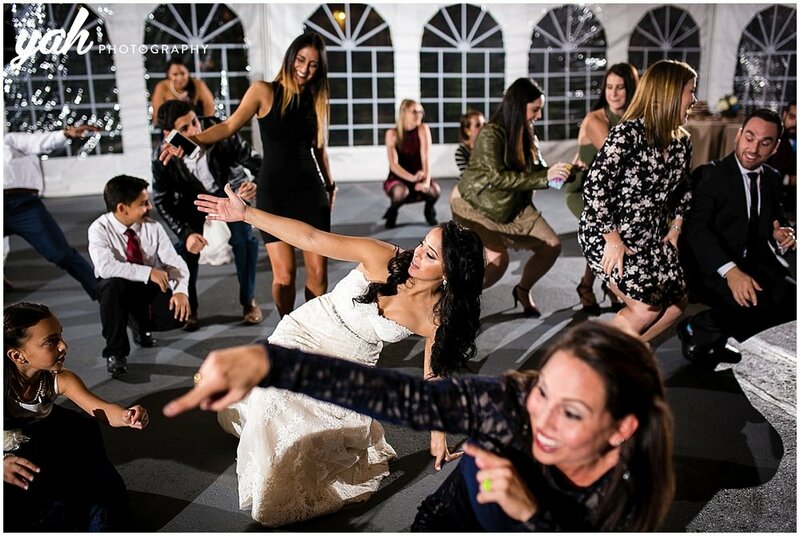 And their bridal party and guests were such a blast to hang out with in the photo booth, on the dance floor, and during their beautiful sparkler exit! Not even a hurricane could stop Bri & Ryan from having one of the best days of their life! When I got to the River Run Country Club I remember checking in on Bri and she wasn’t phased a bit that a hurricane had hit that morning and she wouldn’t be able to have her ceremony outside like she had envisioned. She was just happy to be marrying Ryan no matter what the weather. Their amazing planner Amanda helped transform the ballroom into a gorgeous ceremony space with an amazing display of candles and flowers in front of the fireplace. Everyone was in awe of how beautiful it all turned out considering, and to top it off a rainbow appeared right after the ceremony! Bri also didn’t worry one bit about wet grass and followed along as I took them to a beautiful bridge just down the way for their couples portraits (the videographer even brought out his drone). So no need to worry about a hurricane on your wedding day, there always seems to be a beautiful rainbow at the end! 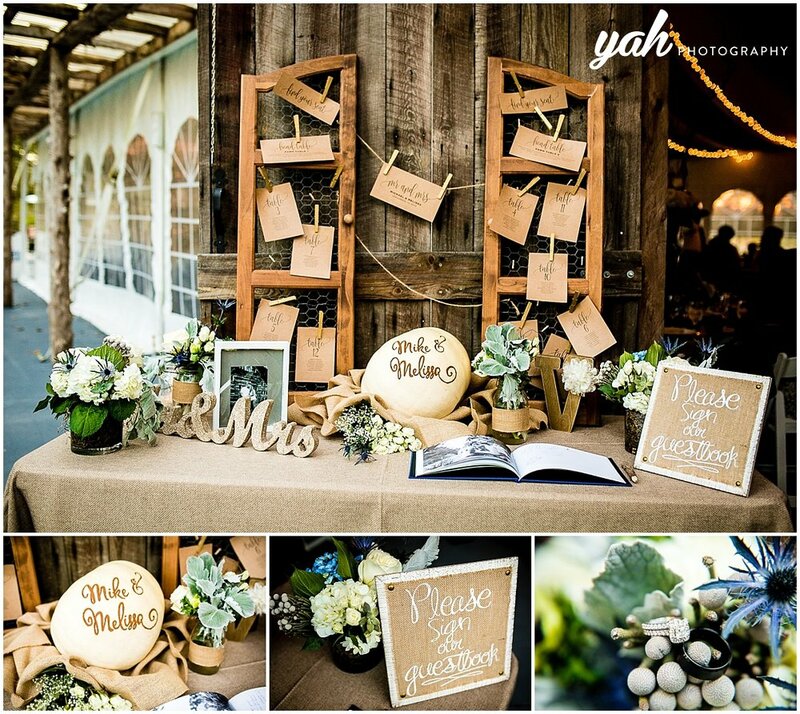 Wedding was featured in Borrowed and Blue. 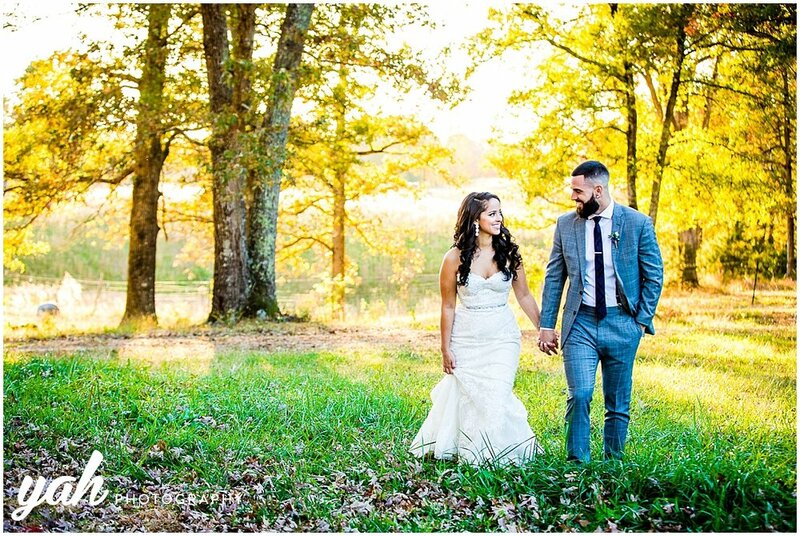 Nicole and Anthony had a whirlwind of a wedding day! 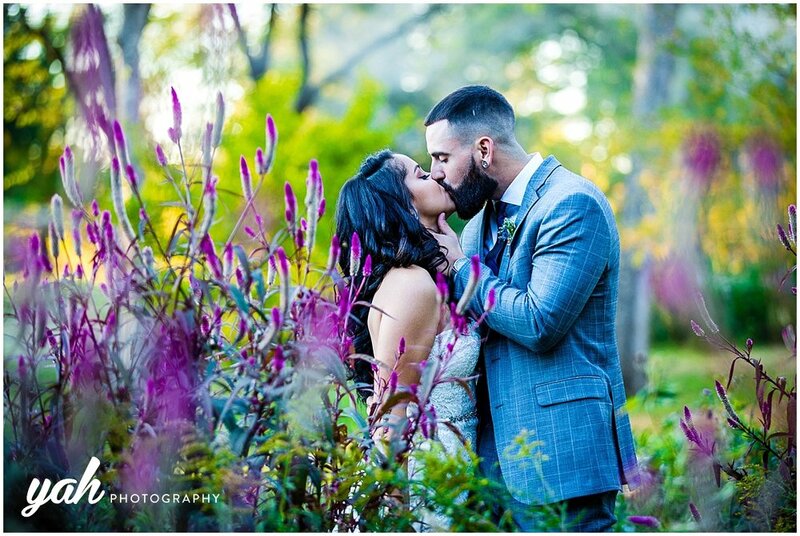 A hurricane rolled in the day before, but led way to some beautiful sunshine and weather creating a beautiful outdoor ceremony at Separk Mansion. This is such a beautiful venue for a wedding, from the sweet little garden, to the historic house, and the beautiful staircase. 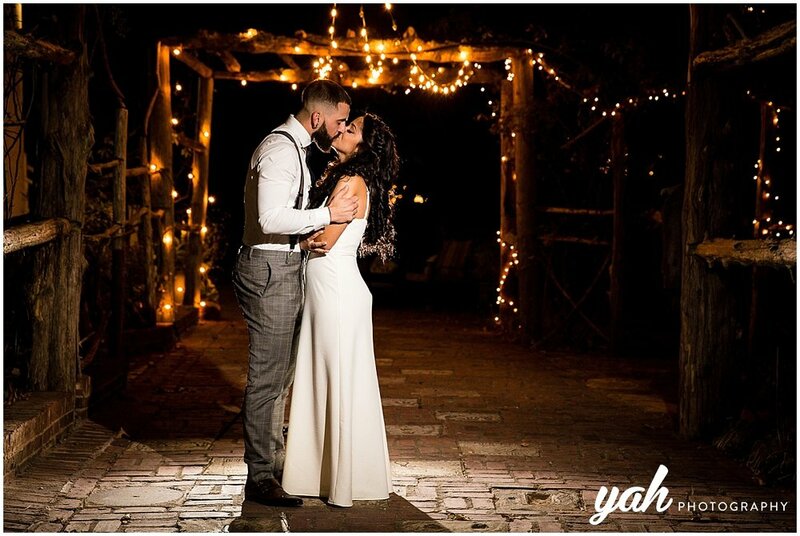 I loved everything about their wedding, especially how in love the two of them are! Check out the rest of the wedding below and the fabulous vendors that made it all happen. Can't believe how fast two years flies by! These two booked me over two years ago and I remember discussing with them at the consultation about how although it was two years, it would be here in no time. And boy did that happen, but their wedding was everything they hoped for and more! Malia and Justin are so cute together! When meeting Malia I could tell that she was one who truly loves photography and the ability to capture the love that the two of them share together! During the session I was able to do just that! The two of them were naturals and I could really see the love they had for each other shining through the entire session! Plus on top of that they are just really fun to hang out with and we had a blast together! I can't wait to photograph their wedding this June and know it will be an amazing day!